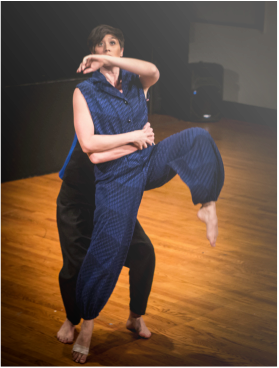 Described by Thinkingdance.net as ‘One of [Philadelphia]’s strongest dancers,’ Gina Hoch-Stall is the Artistic Director of RealLivePeople, a Philadelphia-based dance company that creates dances based on real-life stories and experiences. Her choreographic projects have, and continue to be, supported by the Philadelphia Cultural Fund, Samuel S Fels Fund, Pennsylvania Partners in the Arts and a residency from White Pines Productions and has been performed across the United States and in Europe. She is currently living in Columbus, Ohio while she pursues an MFA in dance at The Ohio State University on a Dean's Distinguished Fellowship. To watch/read/experience Gina's current choreographic endeavors click HERE to go to her blog.